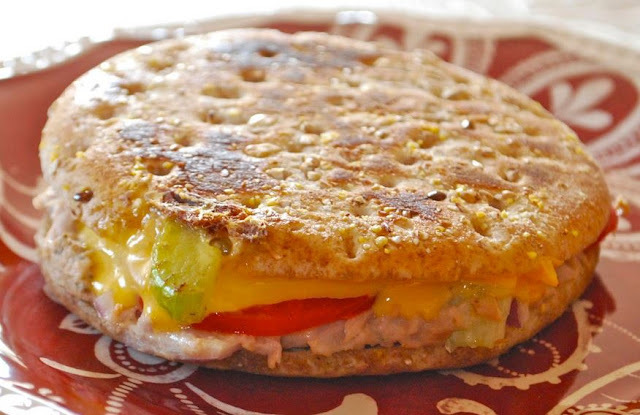 This tuna melt was very satisfying and was a good source of protein. In a medium bowl, combine the first 5 ingredients. Spoon 1/4 of mixture onto each of four sandwich thins. Top with tomato and cheese. Spray a nonstick skillet with cooking spray. Grill until cheese is melted and sandwich thins are browned and toasted.